With summertime finally at our doorstep, it’s time to start focusing on the great outdoors. Outdoor living spaces are increasingly becoming an extension of the home, and the trend is to blend indoor and outdoor living seamlessly for optimal enjoyment. Whether you are preparing a porch, a deck, a patio, a balcony, or a pool house, your goal remains the same; furnishing and equipping the space to meet the given need. First and foremost, you need to determine if your space will primarily be used for entertaining, dining, reading & relaxation, or a combination of all of the above. Running through the checklist below will help ensure that both you and your guests enjoy all your summer festivities to the fullest! 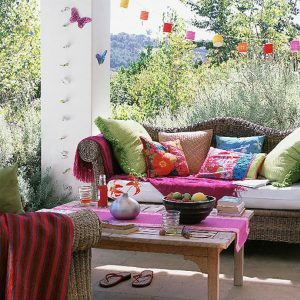 COMFORT: Your first priority is to make sure your outdoor living space is comfortable. The obvious way to do so is with seating options that include ample cushions and chairs that allow for relaxation, perhaps even reclining. But comfort goes well beyond seating. If your outdoor space includes a roof of any kind, have it wired for an outdoor overhead fan. Provide citronella candles to repel mosquitos and other bugs. A retractable awning or patio umbrella will provide relief from the sun as needed. A sturdy indoor/outdoor rug will keep feet from getting splinters from your deck boards or burning on overheated concrete or stone. CONVENIENCE: Eating and relaxing outdoors can feel cumbersome if it’s inconvenient. As the host, you will want to make sure you take steps that lighten your own load as well. Invest in a large deck box to store cushions and other items to protect them from the weather and make for effortless set-up. Use a large galvanized tray to transport items to your deck and save yourself from taking multiple trips. Station a beverage cart outside or build a food bar from old pallets so you have easy access to drinks, food, napkins, and other supplies. Provide small end tables or a coffee table to rest books and beverages. Have a basket of bug spray, sunscreen, and sunglasses within reach. Provide ample lighting for nighttime reading or socializing, whether through hanging pendants, outdoor string lights, or candles. Stay stocked up on paper plates and cups, S’mores ingredients, and hamburgers and hotdogs so you can be spontaneous on the weekend. COMMUNITY: Utilize area rugs to define gathering spaces and create a comfortable spot for young children to play within eyesight of their parents. Hammocks are better placed in areas of solitude rather than places of connection, so be mindful of your seating options. Arrange furniture in clusters rather than rows to promote conversation. For larger gatherings, give your guests options; arrange some seats around the fire pit, others on the deck, and still more near the swing set so parents can visit while children play. Provide tables for board games or giant Jenga for guests that are less mobile. If your home is situated close to your neighbor’s house or is easy viewed by the public, add trellises or privacy walls to create a cozy atmosphere. 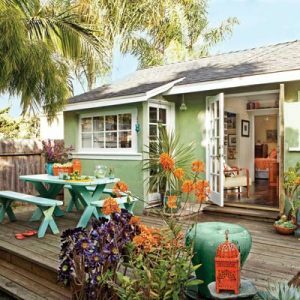 COLOR: The natural beauty of an outdoor setting provides its own color, but there are other ways you can incorporate your favorite hues into the mix. Consider spray painting vintage outdoor furniture in a bright red or orange. Add playful throw pillows to your seating areas, or purchase fun tablecloths or blankets for chilly evenings. Buy colorful vases or planters, or paint inexpensive terra cotta pots to complement your décor. Use old stepladders to display small potted plants in a variety of colors. Coordinate features such as umbrellas or area rugs to match the rest of your furnishings. Outdoor relaxation and entertaining should be enjoyable for both host and guests, so thinking ahead will enable you to maximize your outdoor living spaces and make for summer memories that last you year round. Happy summer! Tackling a home renovation project can be both exciting and stressful. Trying to make decisions while staying within your budget and time frame can feel like a full-time job. Most folks see the advantage of hiring a contractor to help them accomplish such projects, but hiring a designer to assist can be equally important. 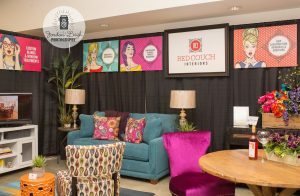 This is where professionals like Danielle Gundrum from Red Couch Interiors can help ensure that a project ends on a positive note. 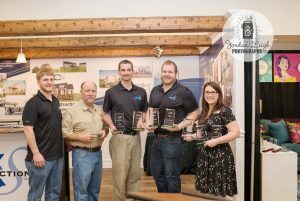 First and foremost, a designer and a contractor share a common goal, their client’s ultimate satisfaction with a job well done. 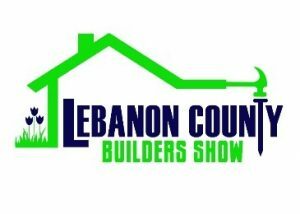 They will likely have different areas of expertise, stemming from a shared love for the building industry and how all its components fit together. Their common mission will be reached most successfully as they discover each other’s strengths in communication, product selection, overall floor plan, and budget boundaries. When these flow together, a project can be enjoyable and successful from all perspectives. CREATING COMMUNITY: Ideally, a designer should be part of the project from the very beginning. This helps with ease of communication between contractors, subs, and the homeowner. Frequent interaction and job site visits help ensure you avoid costly mistakes and that all of the details come together smoothly. While it is inevitable that changes will be made along the way, this ability to work together benefits all parties, and ultimately, the homeowner, in making sure the little details remain a priority while shooting for an overall goal. Additionally, all parties can work together to find creative solutions for challenges that arise, based on their individual skill sets. MAKING SELECTIONS & CHANGES: It also benefits all parties, especially the homeowner, if selections are made before the project ever begins. This is where a designer is of utmost importance in helping to keep things on time and within budget. Changes are best made at the rough-in stage before change order costs are in play, and designers are exceptional at communicating all of this to the contractor. 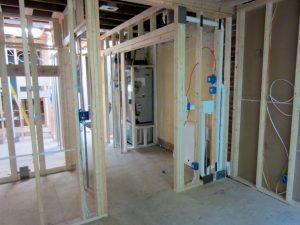 Once the rough-in stage is complete, changes will automatically require extra work, which leads to extra expense, so a designer can help the homeowner think things through in advance to avoid unnecessary stress and cost. 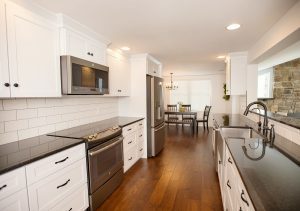 DETAILED PRODUCT SELECTION: Choosing the right colors, appliances, and finishes can be overwhelming to a homeowner. A designer can help you wade through the options, keeping the overall picture and budget in mind, and saving you hours of fruitless shopping or internet surfing. 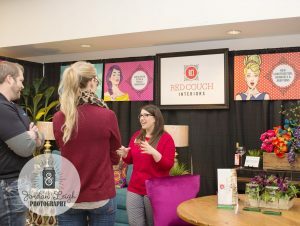 The designer can also help educate the homeowner on new items or ideas in design and help narrow down the options, and he or she will also have access to resources and connections not available to the general public. A good designer is also a good listener, taking note of a client’s specific taste and needs and then applying such knowledge to the selection process in a way that minimizes the stress. RELATING TO THE CONTRACTOR: The contractor is typically responsible for setting the budget and time frame, both of which are subject to change. A designer is a helpful liaison between the client and contractor, identifying client expectations and keeping the contractor informed along the way. If the designer can handle the organizational aspects of the project, the contractor is freed up to devote his time to construction details and coordinating his subs to stay on schedule. The designer can flag little things that pop up, like the need for an outlet at an unusual spot or placement of overhead lights. The designer and contractor can help promote each other’s businesses as they develop a healthy working relationship. 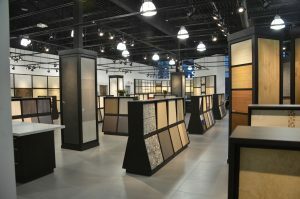 Ideally, they will be able to connect future clients with the right people to ensure that each project ends successfully. If you have not taken advantage of a designer’s services in the past, it can be difficult to envision the benefits of hiring one. But the designer’s ability to help a project run seamlessly from design to product selection to completion cannot be underestimated. 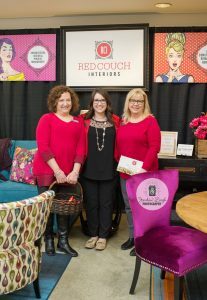 Red Couch Interiors enjoys the opportunity to help clients see their dreams become a reality!